Justrite Agent-X is a new generation of smart geotextile fabric using embedded oil containment solutions and technology. 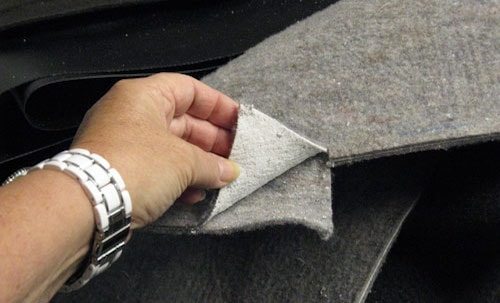 Agent-X is made of two layers of a geotextile fabric with Justrite Oil Solidifying Polymers embedded between the layers. This hybrid creates a filtration fabric that encapsulates hydrocarbons and forces them to unsaturated areas of the geotextile fabric. Agent-X is hydrophobic, which allows water to pass through it, and is oleophilic to solidify hydrocarbons upon contact. Laboratory tests have shown great efficiency in removing small suspended oil droplets found in mechanical emulsions making it a stellar performer for oil sheen removal and for final polishing of effluent waters. 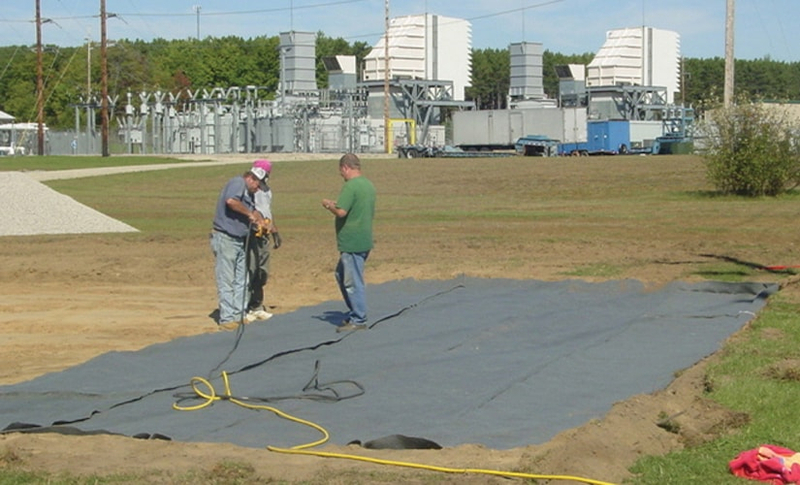 Agent-X can be used for both land and water oil containment and hydrocarbon filtration. What are Barrier Boom panels made of? The inside wall of the Barrier Boom panel is a basic geotextile made from a patented blend of recycled synthetic materials that are both hydrophobic and oleophilic. The material wicks the oil throughout the fibers and has a tremendous load capability per square inch. Agent-X makes up the outer wall of the panel. It is made of two layers of a geotextile with Justrite solidifying polymers laminated between the layers. The material itself has a tremendous filtering effect and keeps oil from passing through this unique final outside wall. The polymers fill the void between the outer and inner wall. A unique quilting pattern keeps the polymers from shifting during handling and installation. Visit the FAQ page to find more answers about secondary containment.